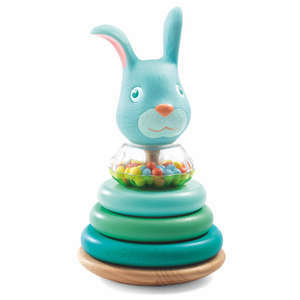 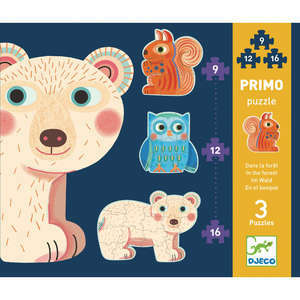 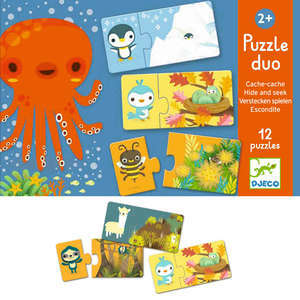 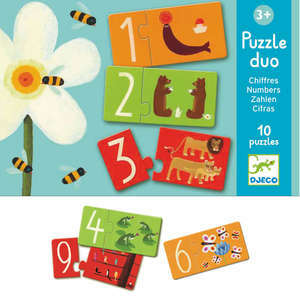 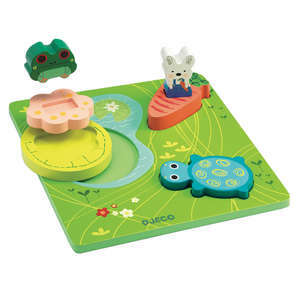 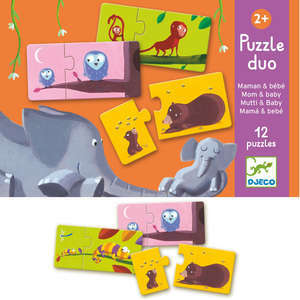 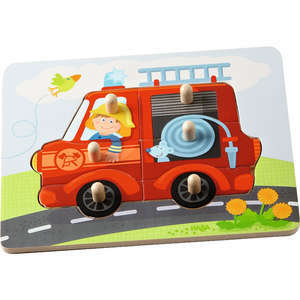 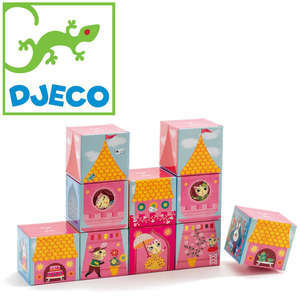 Discover 16 colourful animals by turning and stacking the puzzle blocks in the correct order. 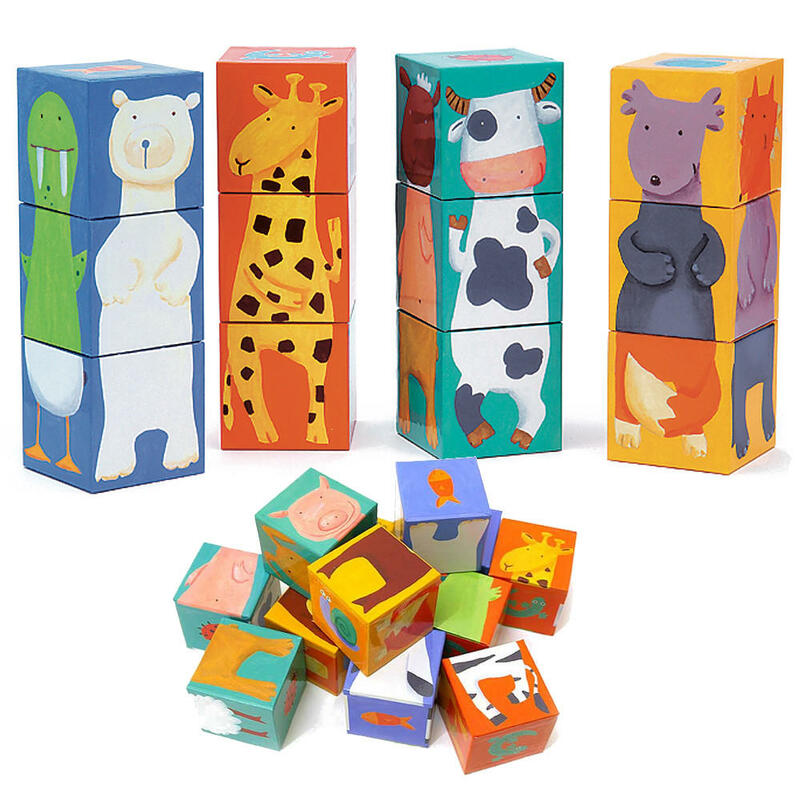 Match heads, bodies and legs or mix and match the cubes to create your own funny looking creatures. 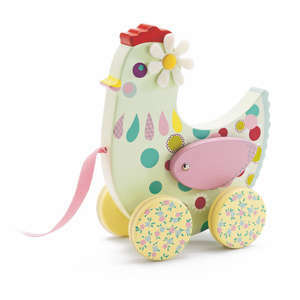 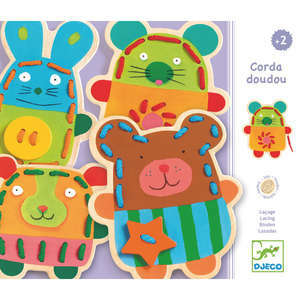 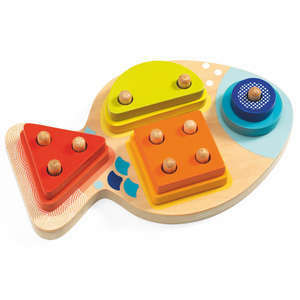 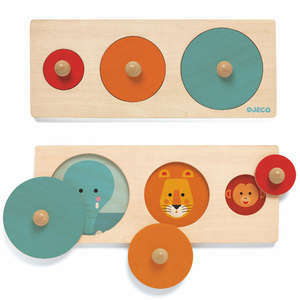 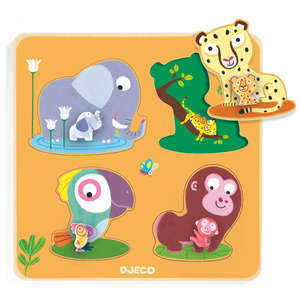 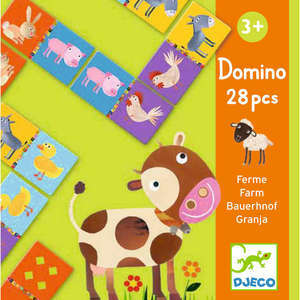 Using the colourful blocks children can make farm, safari, arctic and woodland animals with four animals in each set. 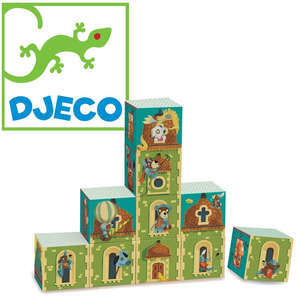 12 puzzle blocks made from sturdy cardboard. 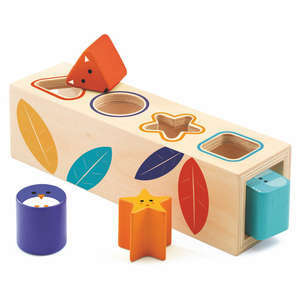 Box size approx: 24.5 x 18.7 x 6.4cm. 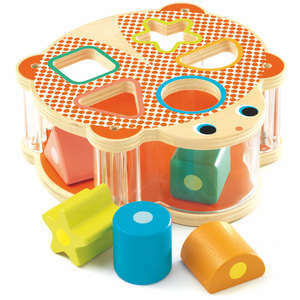 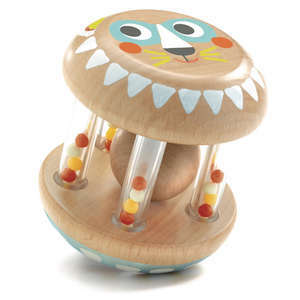 The age guidelines for this toy are 3 years+, however younger children will enjoy playing with the blocks under adult supervision.